4k00:10Woman is sitting on a rock and looking at the city on sea coastline. Aerial view. Drone is flying forward over the cliff. Revealing shot. hd00:25Los Angeles, California / USA - July 7th, 2016: Sunrise Sunset Runyon Canyon Hiker and Dog Over Los Angeles City Panorama Skyline. 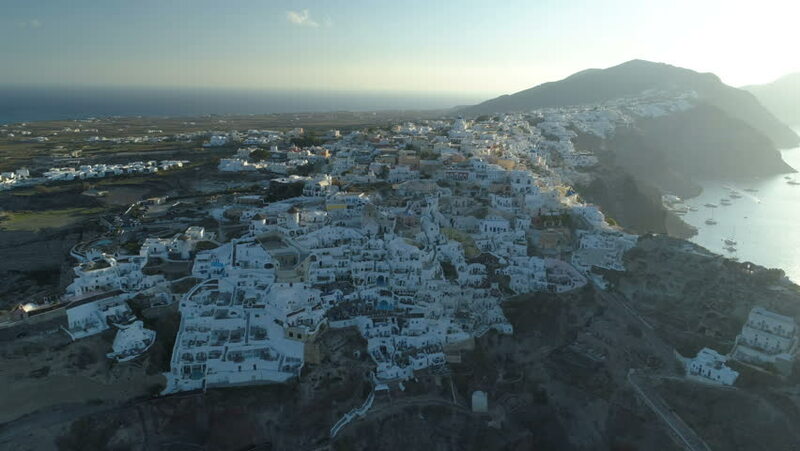 4k00:15Aerial view flying over city of Oia on Santorini, Greece.